When it comes to ornamental and medicinal Salvias -- or true sages -- more is what you get from Flowers by the Sea (FBTS). We offer more types, more colors, more vigor, more care in shipping and more information. We grow, develop and test hundreds of ornamental and medicinal Salvias. Our farm and online nursery doesn’t sell to big box outlets; instead, we ship directly to home gardeners like you. At Flowers by the Sea, you'll find the largest selection of Salvias -- both popular and rare -- available anywhere in the world. We aren't just here to sell plants and make a living; we're here to help you make the world more beautiful. Don't expect a catalog in your mailbox from Flowers by the Sea, because we have never printed one and refuse to do so. Print catalogs are tree-munching dinosaurs on their way to extinction due to the rapidly changing world of digital technology. 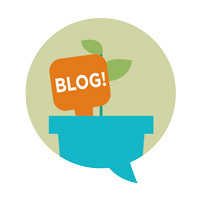 Online catalogs are environmentally friendly and save our customers money, because we can keep our plant prices low. All plants are guaranteed to arrive at your home in excellent condition and clearly labeled. In addition, we guarantee your absolute satisfaction with these plants. 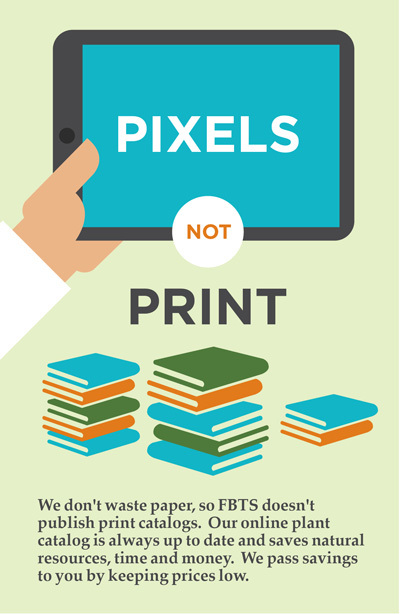 There is no hidden small print; we know you will love our quality, so we guarantee it! We ship well-rooted stock in the container size listed for each plant in our catalog. Occasionally we will cut a plant back to facilitate shipping, but hey -- we're gardeners, so we'll do a thoughtful job of it. We are very careful about not sending you weeds or pests! If your plants do not arrive in excellent condition, please contact us immediately via email or telephone. You can choose to have either a refund or credit on a future order. Flowers by the Sea uses a customized system for shipping charges. Customized fees allow adjustment of shipping prices based on how far away you live from FBTS and how many plants you purchase. This is a more equitable way of covering delivery fees instead of increasing plant prices to cover losses on delivery charges as in a flat-rate system. Please visit our Everything Salvias Blog, where we discuss favorite sages and companion plants in detail. 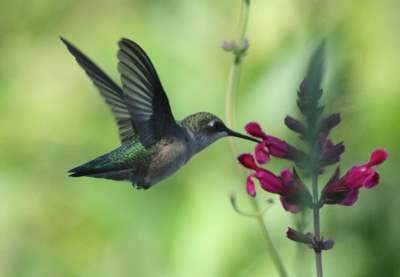 We share information about a broad array of species and dig into topics such as butterfly and hummingbird plants, Culinary Sages, medicinal use of Salvias, native gardens, plant cultivation, Salvia history including plant exploration, selection of plants based on climate and tips for waterwise gardening. Salvia Alert! is a free service to our customers, to keep them informed of new and unusual Salvia species and varieties as they become commercially avaliable. There is no regular schedule for Salvia Alert emails. They may arrive in your inbox once a week or once a month depending on the timing of new introductions and the growth cycle of other plants. The in-stock quantity of any given plant detailed in an Alert is limited. 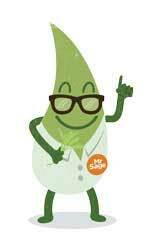 However, there are no other restrictions on the number you may purchase while the plant is in stock. The chase is on once the Alert is mailed: Sales continue until stock is gone, which may be minutes, hours or more than a day. Welcome to our small, family farm and online nursery located in Elk, California, on the Mendocino Coast. We are dedicated to high quality growing and shipping of the best horticultural sages (Salvia spp.) available from America and around the world. We are a United Nations of sages. Flowers by the Sea (FBTS) offers a broad array of native North American species as well as Salvias from Asia, Africa, Australia, Central and South America, Europe and the Mediterranean. Aside from our endless curiosity about the huge Salvia genus, it is the mild local climate that makes this possible. At FBTS, we grow hundreds of the nearly 900 species in the fragrant, colorful Salvia genus, which is part of the Mint Family. 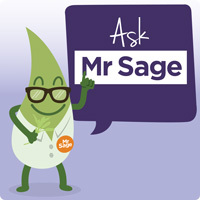 Our sages range from short herbaceous groundcovers to shrubs so tall they are considered trees. All the plants that we cultivate in our greenhouses are also grown outdoors in our test gardens. FBTS sends you carefully packaged potted plants that are healthy and ready for planting. We scrupulously nurture them to encourage strength and avoid pests and garden diseases. 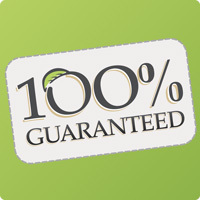 Our guarantee of 100 percent satisfaction allows you full credit or reimbursement in the rare event that any plants ordered are not in good condition upon arrival. Our state-of-the-art production methods are technologically advanced, environmentally sound and aimed at producing the best possible horticultural products. We have been in service continuously since first turning our farm's soil in 1991. Aside from seeking to earn a living in a satisfying, ecofriendly way, we've always focused on enhancing the quality of life of our customers, employees and community. Frogs eat insects in our production fields and greenhouses. 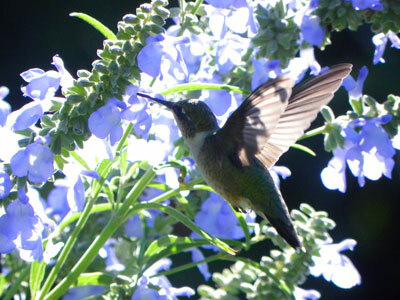 Hummingbirds graze on the nectar of the flowers. We keep honeybees as pollinators and to help increase the dwindling population of bees worldwide. Our goats eat weeds and brush as well as providing fertilizer for the crops. FBTS exists as a balanced, living organism in which everything plays a part. By caring for the land with love and respect, we think we are being good global citizens. By providing a high level of customer service and listening closely to your feedback and requests for information, we hope to be an excellent resource in your gardening life. Please feel free to contact us anytime. Ordering from Flowers by the Sea has been easy and efficient. All the plants I have received have thrived with minimal effort. They are a valuable source for new and interesting salvias as well as hard to find regulars. I would definitely recommend and use them again.